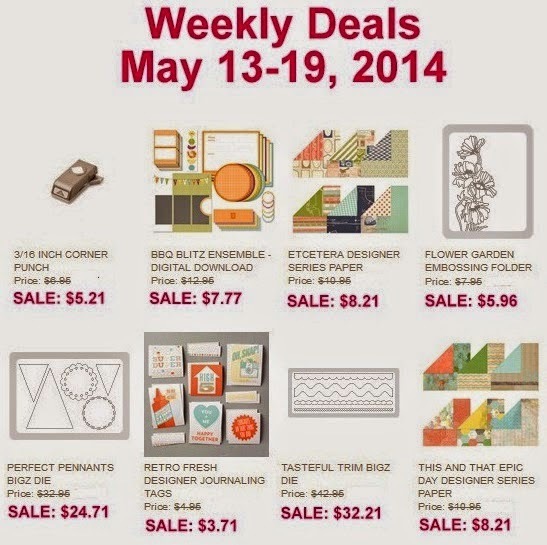 Here are this week's deals from Stampin' Up! And don't forget to check out the Clearance Rack! There are lots of items available there - but only while supplies last! Some items that I spotted were Big Shot dies and Framelits, ribbon, Washi tape, Designer Series Paper, and lots more!